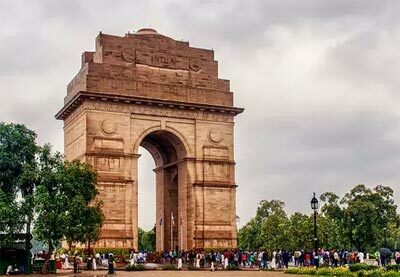 The famed Golden Triangle Circuit is India’s most celebrated tourist route which connects the national capital Delhi, Agra and Jaipur, forming a triangular shape on the country’s map. Admire the vivid hues of the fast pacing city life, the velvety deserts and the beauty of the regal Taj Mahal, an epitome of love while heading on this joyful journey. On setting your foot on the Golden Triangle route, you can savour the architectural grandeur of the lofty Qutab Minar in Delhi to Amber Fort in Jaipur and of course the Taj Mahal in Agra. 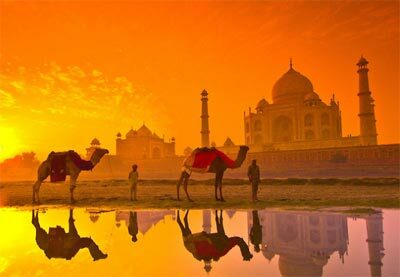 The trip usually starts from Delhi moving south to the magisterial site of Taj Mahal, then west to the sultry desert landscapes of Rajasthan. One can undertake this journey either by coach or book a private journey through tour operators. This well travelled route shares a gorgeous panorama of the country’s sublime landscapes. The circuit is about 720 km by road and each leg is about 4 to 6 hours of drive. The Shatabdi Express train also connects Delhi with Agra and Jaipur. Once you are all set to savour the bliss of Golden Triangle, you’ll be happy to know that this is probably the best decision that you have ever made. Start from Delhi belly, where you can spend nights exploring the happening places of the town, from Red Fort the erstwhile residence of the Mughals to the towering Qutub Minar, everything here is a relic of past. A lottery ticket for the shopaholics, Delhi boasts of its famous bazaars, offering the latest fashion at the cheapest price, which will make you wonder why Delhites are the best-dressed people in the country? For apparels and accessories, most Delhites swear by Old Delhi’s Chandni Chowk and New Delhi’s Paharganj which is often thronged by young women. The second major stopover is Agra’s Taj Mahal, an ivory white marble mausoleum built by Mughal Emperor Shah Jahan in the memory of his beloved wife Mumtaz. Cradled on the banks of Yamuna River, Taj Mahal is truly a sight to behold as its beauty is timeless, regal and remains unparallel till date. This glorious masterpiece of Shah Jahan is a UNESCO World Heritage Site and India’s most iconic historical monument. To savour the utmost beauty of this monument visit Taj Mahal during sunrise or sunset as it appears enchanting during this time. You can also explore the nearby Agra Fort, a notable site offering a glimpse of the Taj Mahal. In addition to this, you can also visit the tombs and other architectural marvels of the city. Since Taj Mahal is a historical place and a major tourist attraction, the movement of vehicles is prohibited around the Taj Mahal complex. The opening and closing time of Taj Mahal is 6 am-7 pm daily except Fridays and the entry fee is Rs 750 for foreign nationals and Rs 20 for Indians. 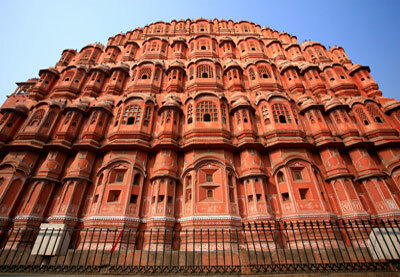 The triangle’s third corner is The Pink City Jaipur, the capital of Rajasthan and a hub for tourism activity. Known for its pink buildings that drape the city in rosy hues, Jaipur is a place to satiate the glorious historical sites such as Hawa Mahal, City Palace and the 11th century Amber Fort. Home to some of Asia’s best bazaars, Jaipur is quite famous for its traditional crafts and designs; you can shop for fabrics or take souvenirs back home. For spiritual bliss, you can visit the Shri Jagatshironmani Temple built at the request of Queen Shringar Devi Kanakaway, wife of Man Singh ruler of Amber (between 1599 to 1608). Jaipur Tourism Tourist Places in Jaipur How to Reach Jaipur Hotels in Jaipur more..